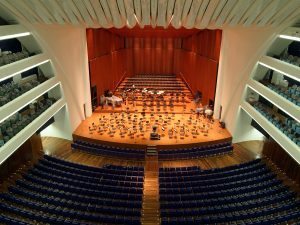 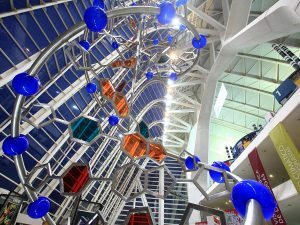 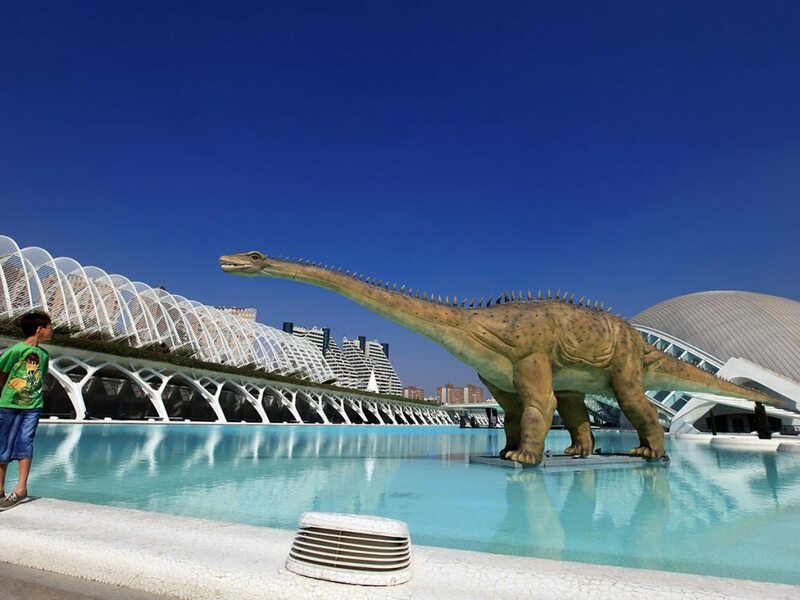 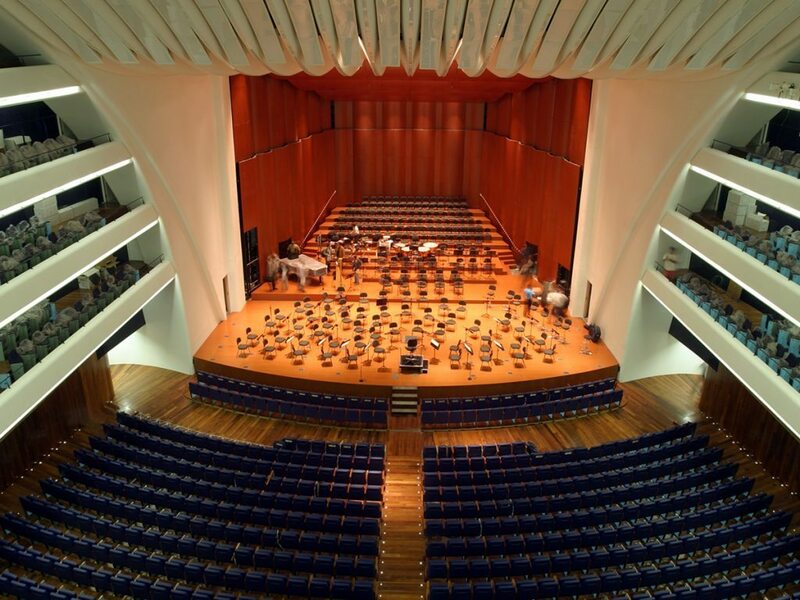 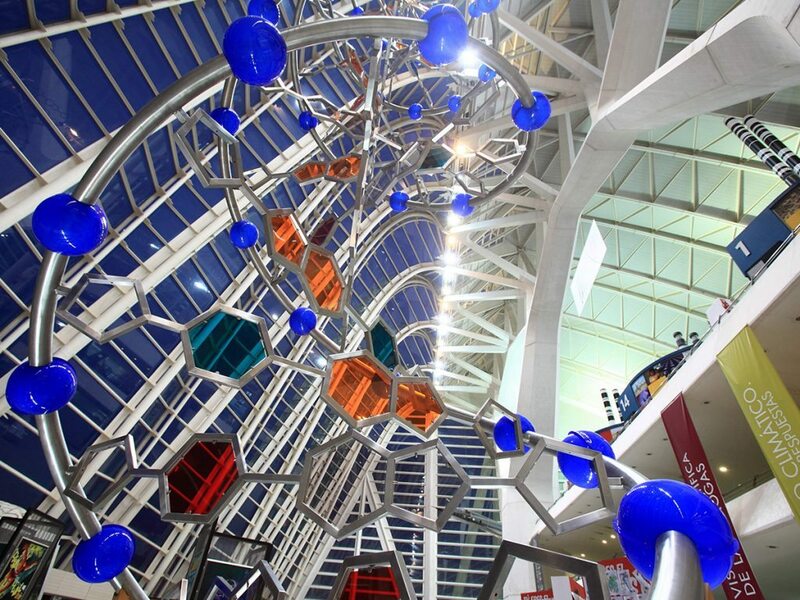 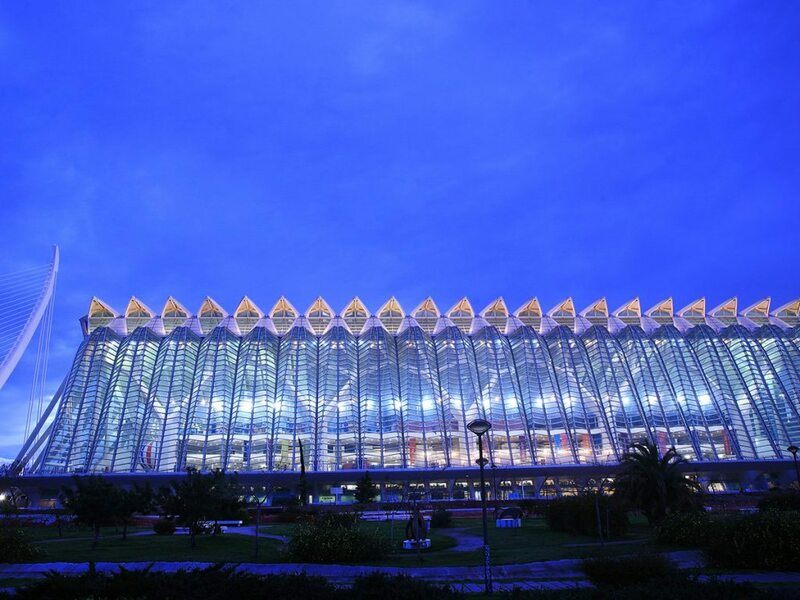 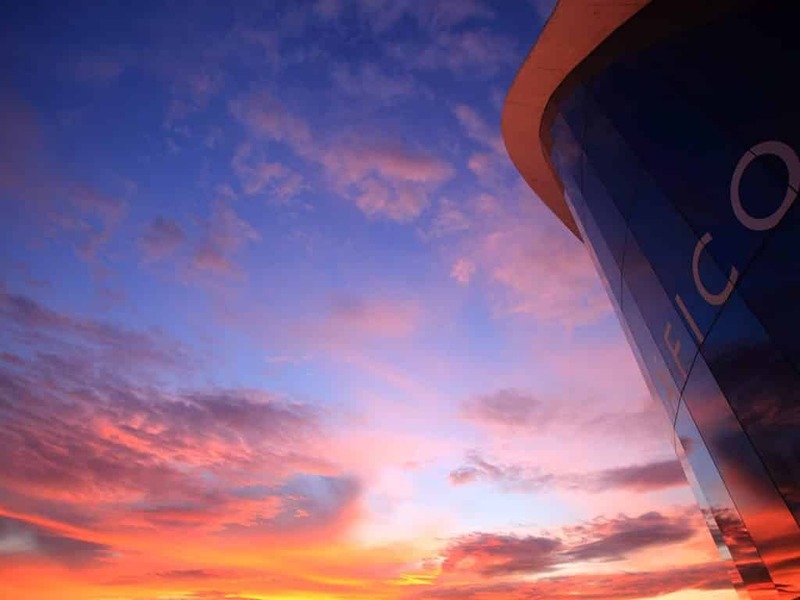 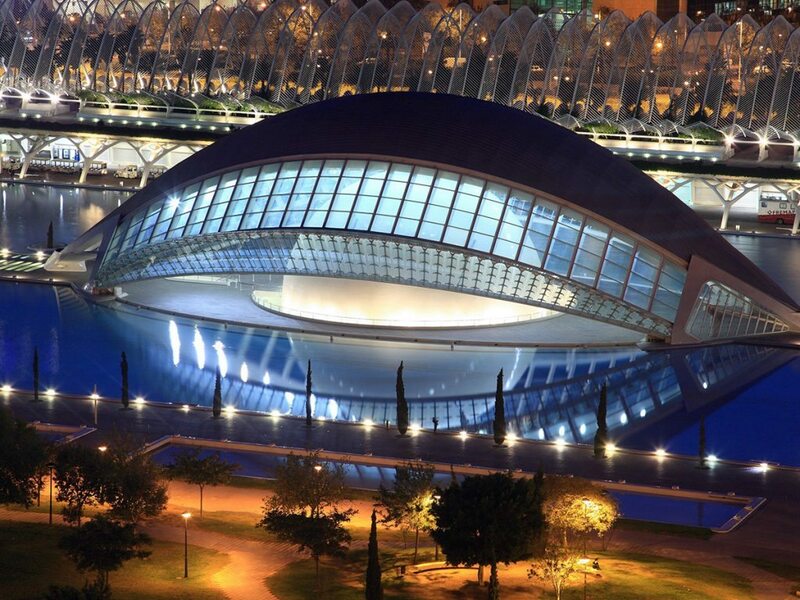 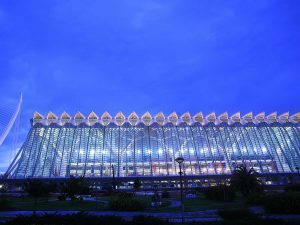 City of Arts and Science is an imprescindible visit in Valencia. 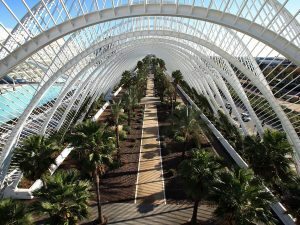 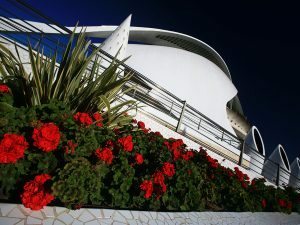 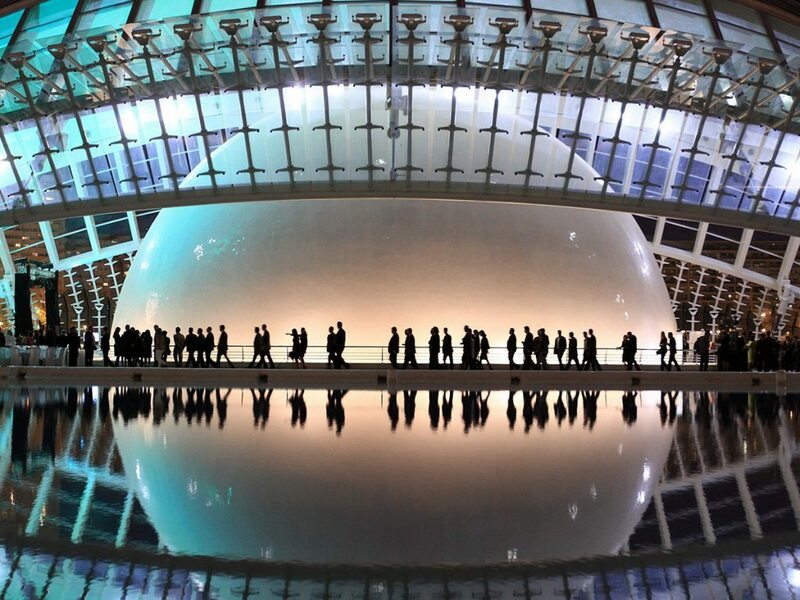 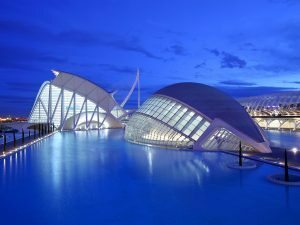 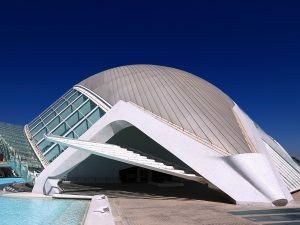 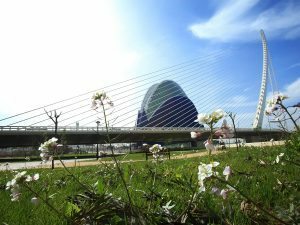 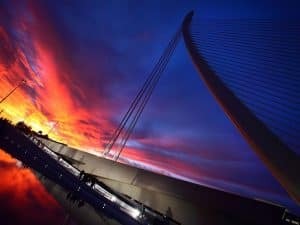 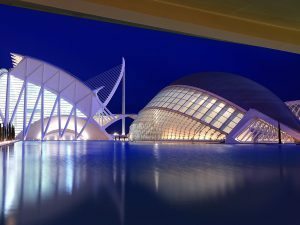 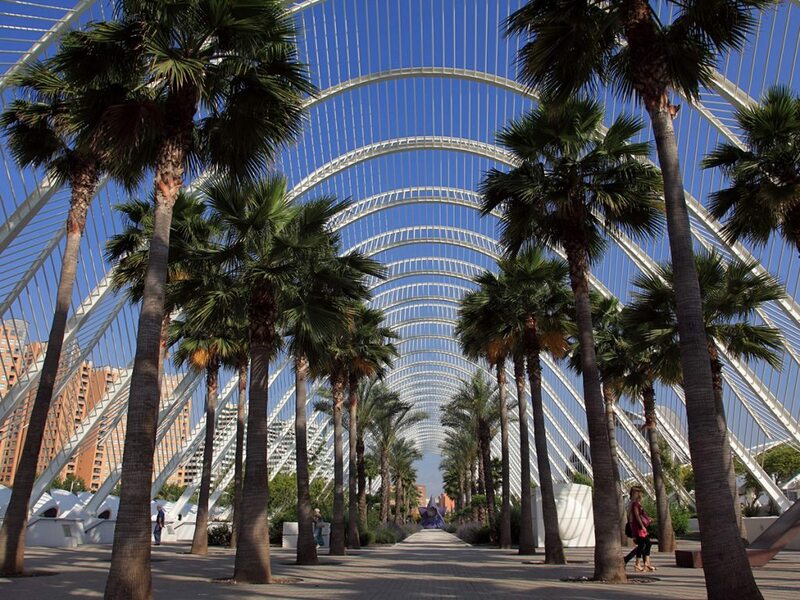 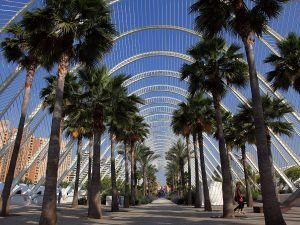 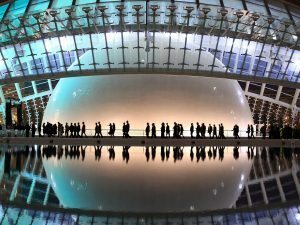 The City of Arts and Sciences is an essential visit in Valencia designed by the Valencian architect Santiago Calatrava. It´s composed of several buildings that have become icons of the city. It´s a scientific and cultural leisure complex perfect for enjoy with family or friends as it has various activities for all ages. 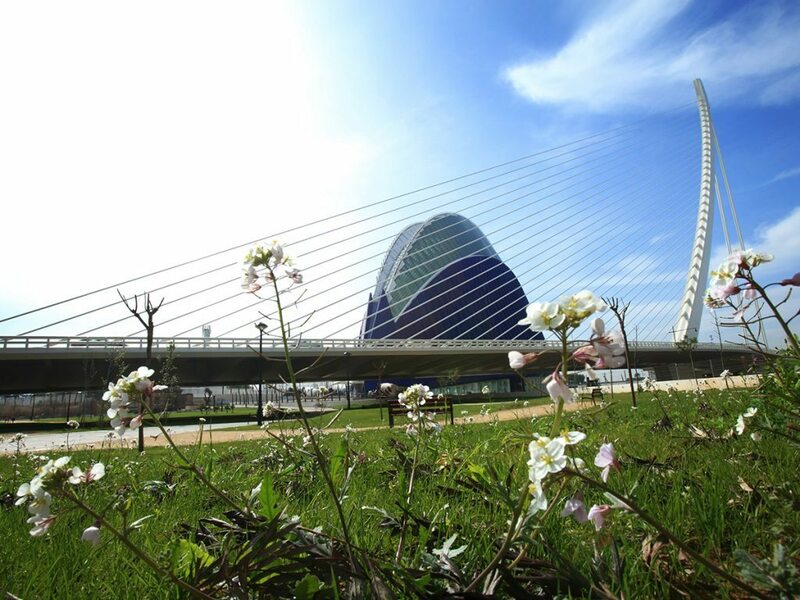 Located in the old River Turia we can differentiate the different buildings (in some of them you need entrance). 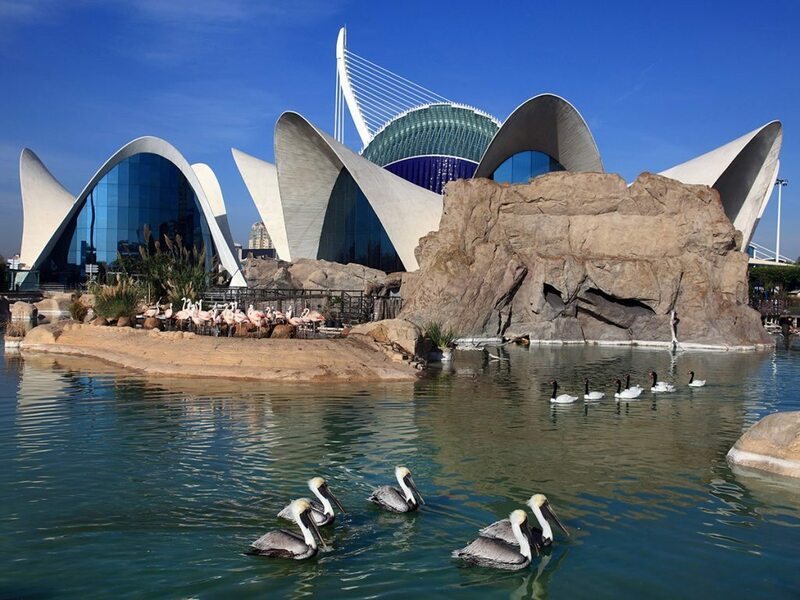 Oceanografic: it´s the largest aquarium in Europe and has seven different marine environments. There are about 45,000 specimens of 500 different species, such as dolphins, belugas, sea lions, seals, penguins or sharks. 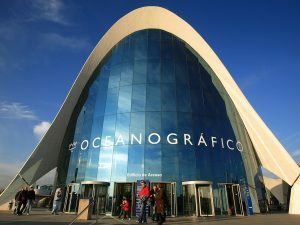 Every day an exhibition is held in the dolphinarium and at the end of the visit you can taste Valencian gastronomy the restaurant Submarino. 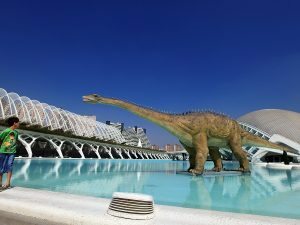 Museum of the Sciences Prince Felipe: it´s a construction of colossal proportions and organic forms that offers numerous activities on the evolution of the life and the diffusion of the scientific and technological knowledge. 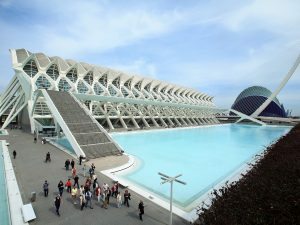 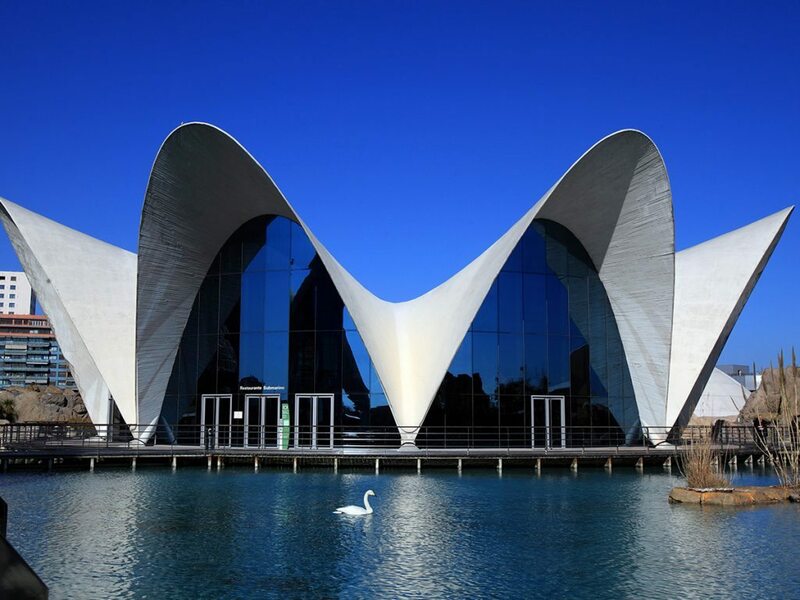 It´s the largest museum in Spain in total area and one of the largest in Europe. It´s surrounded by an area of ​​13,500 square meters of water. 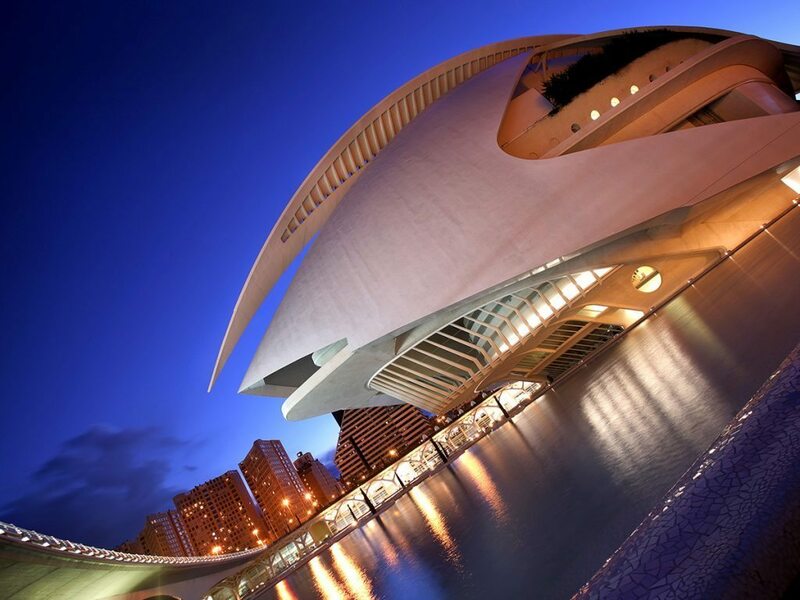 Palau de les Arts Reina Sofia: a space dedicated to music and dance. 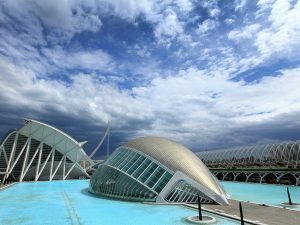 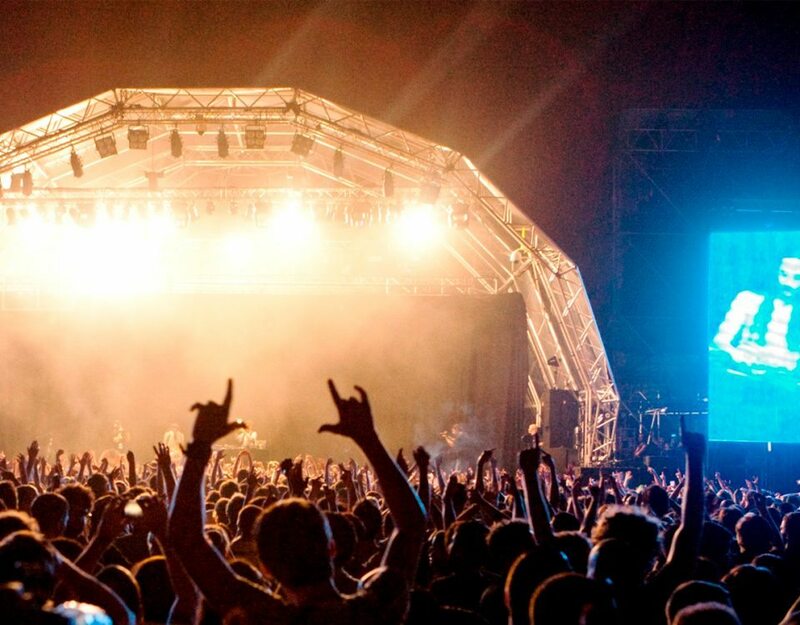 Ágora: it is the most recent of the buildings, in which the Open 500 tennis tournament has been celebrated and Valencia Fashion Week is celebrated annually. 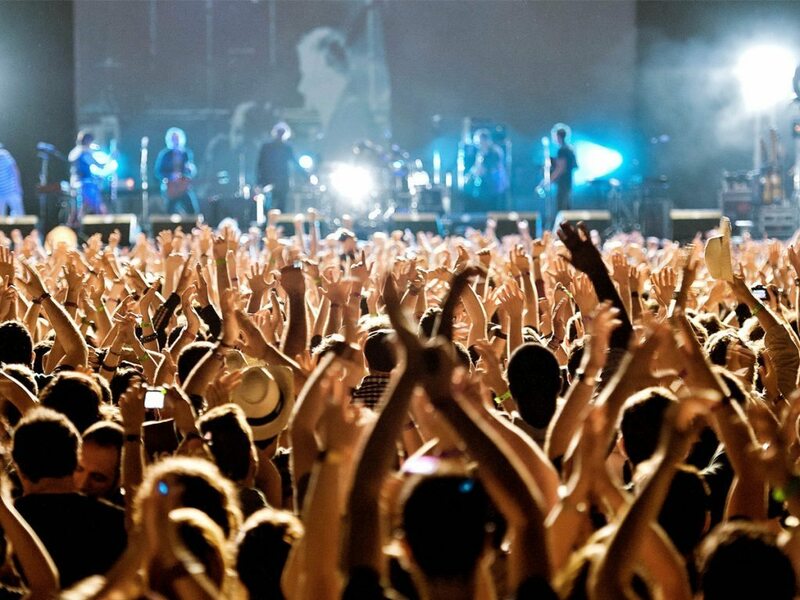 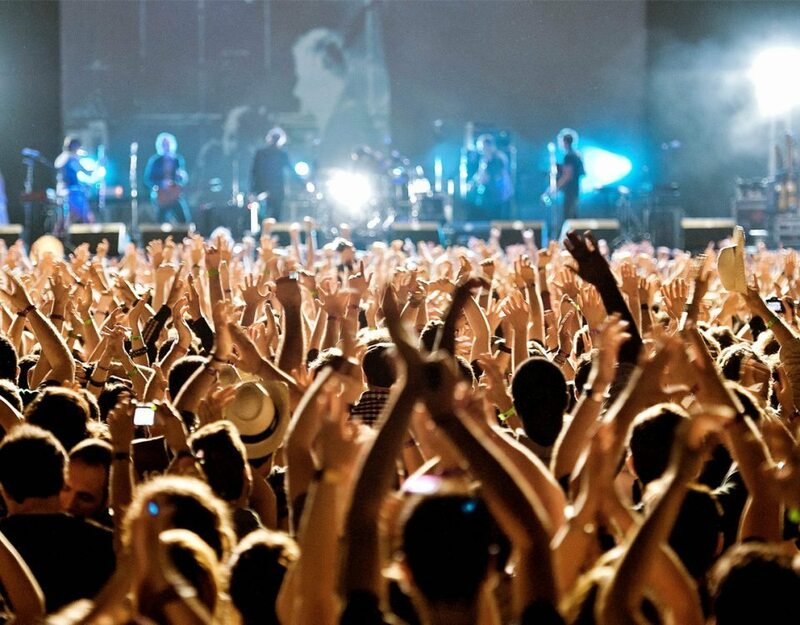 Hemisfèric: is a 3D digital cinema, with a huge concave screen of 900 meters that almost envelops the spectators. 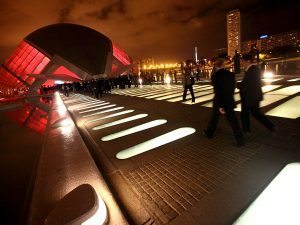 Every day several films are projected, mostly educational documentaries of no more than 45 minutes suitable for all audiences. 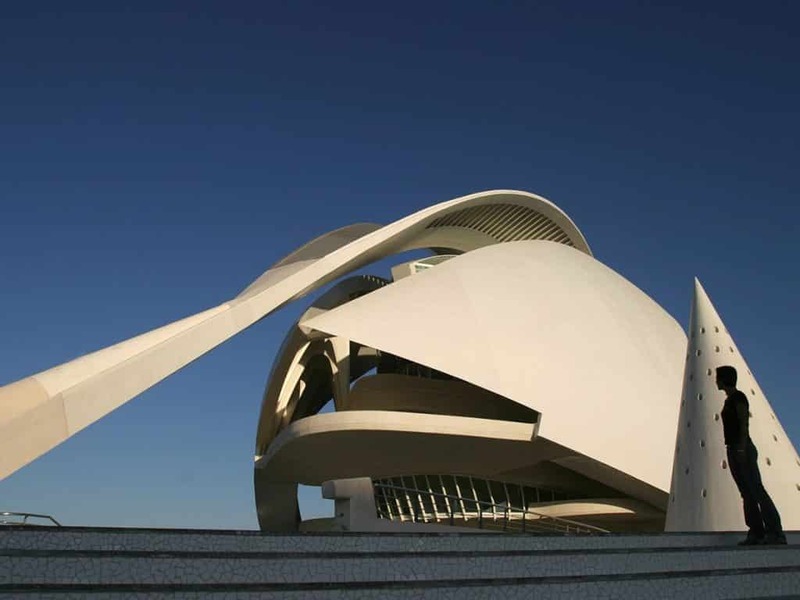 Our hostels in Valencia are very close to the City of Arts and Sciences and have a large capacity to accommodate you! 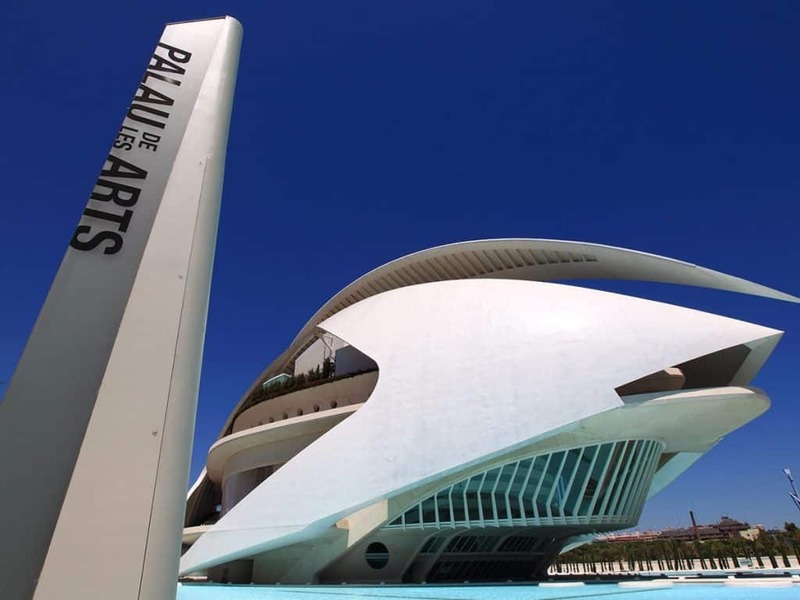 Enjoy City of Arts and Sciences?